From two liberal religious leaders, an accessible yet deeply reasoned discussion of how the common hopes of religious progressives from many traditions can create a liberal religious renaissance. For over a generation, conservative religion has seemed dominant in America. But there are signs of a strengthening liberal religious movement. For it to flourish, laypeople need a sense of their theological heritage. 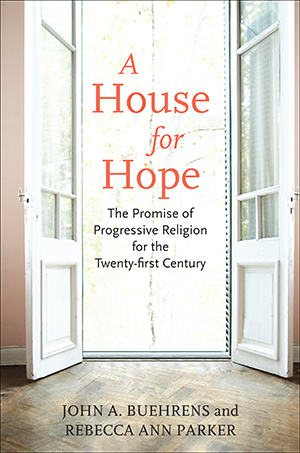 A House for Hope lays out, in lively and engaging language, the theological house that religious liberalism has inherited-and suggests how this heritage will need to be spiritually and theologically transformed. With chapters that suggest liberal religious commitment is based on common hopes and an expansive love for life, A House for Hope shows how religious liberals have countered fundamentalists for generations, and provides progressives with a theological and spiritual foundation for the years ahead. This book uses the metaphor of a theological house to articulate the “frames that give our dreams shape and meaning.” Through this metaphor we explore the classic topics of theology from a progressive vantage point--reminding the reader that liberal religion has a long history, and inviting reconsideration and reimagining of its key concepts. We write as coauthors because we recognize that no one authoritative voice can claim to speak to all of liberal and progressive religion. Dialogue that opens up further conversation is integral to progressive theological method. We have been in dialogue with each other for a number of years about many issues in progressive religion today. We have much in common as a result, but we do not always agree about every issue or formulation. To invite the reader into dialogue as well, in each section of this book there are two or more chapters: one by Rebecca introduces the theological theme and identifies distinctive liberal perspectives on the topic; one by John offers further historical perspective, counterpoints, and reflections on the theme. Each dimension of the house--including its setting within the natural world--corresponds to one of the classic issues of systematic theological reflection. Theology, we suggest, is architectural--it provides a framework for human life. It is also ecological--it creates an interactive system in response to a specific environment. And it is archeological--it unearths artifacts from the past that can inspire our imagination and understanding now. Here are the basic dimensions and coordinates of this theological house for hope, and the questions that each represents.